When it comes to a mountain retreat there are some things we can all agree on, raclette, snow fights, novelty jumpers and a big log fire. But what do you do if skiing isn’t your thing? Love climbing? Why not try this adventurous alpine alternative – ice climbing. Whether you decide to try a natural or artificial wall, grab your thermals and your ice axes and try summiting some of the most amazing winter landscapes just minutes away from the ski slopes! With each ice formation unique in its own way, every frozen floe is a new challenge! 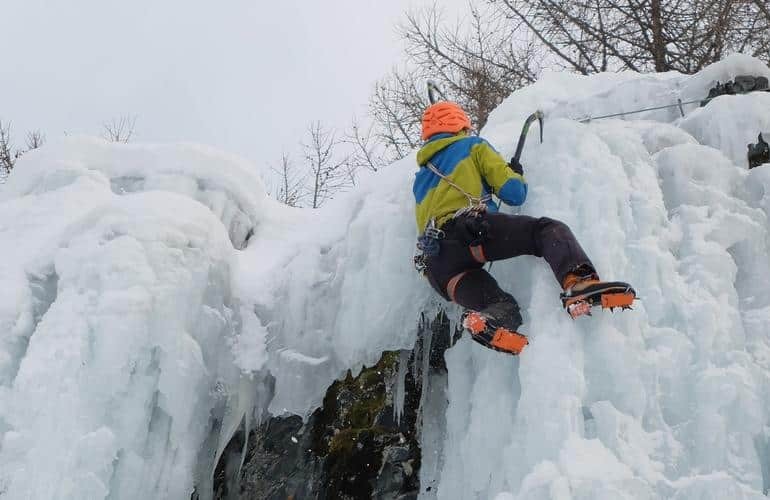 Attack the elements and try ice climbing this winter. Discover our selection of ice climbing activities at Adrenaline Hunter. Perfect for nature and animal lovers, pick up the pace and learn how to mush your own dog sled in the alpine backcountry. Navigate winter wonderlands and mountain forests – with your pack of Huskies leading the way. Depending on weather conditions, you could be blazing through power rifts and frozen valleys with up to 14 dogs at your command! The only way to travel. 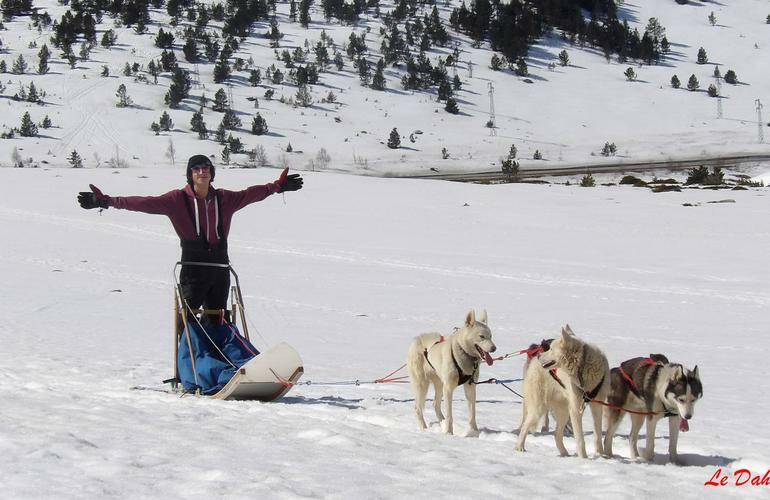 Discover our selection of dog sledding activities at Adrenaline Hunter. 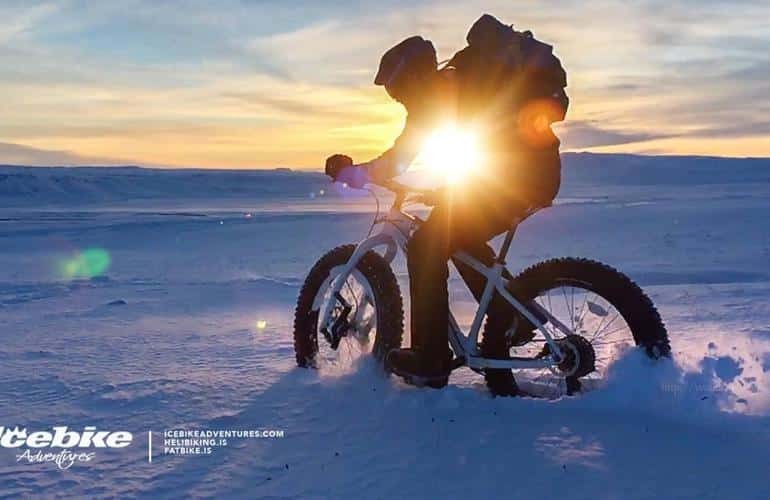 An all-terrain version of your average mountain bike, fat bikes are the latest action sport to conquer both arid deserts and snowy pistes. 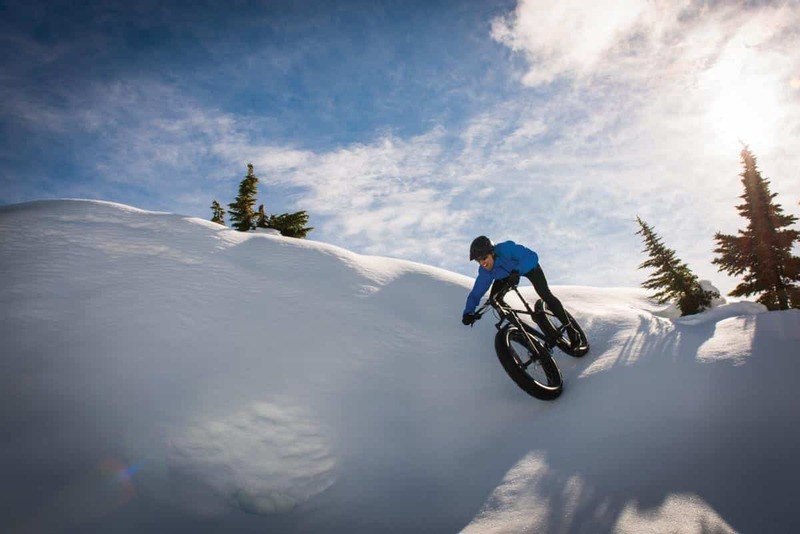 With huge 12cm tread tyres, fat biking in the mountains is probably one of the most fun ways to get around. An altitude sport growing in popularity, swap two skis for two wheels and challenge your suspension with this fun alternative to skiing. Discover our selection of MTB snow activities at Adrenaline Hunter. 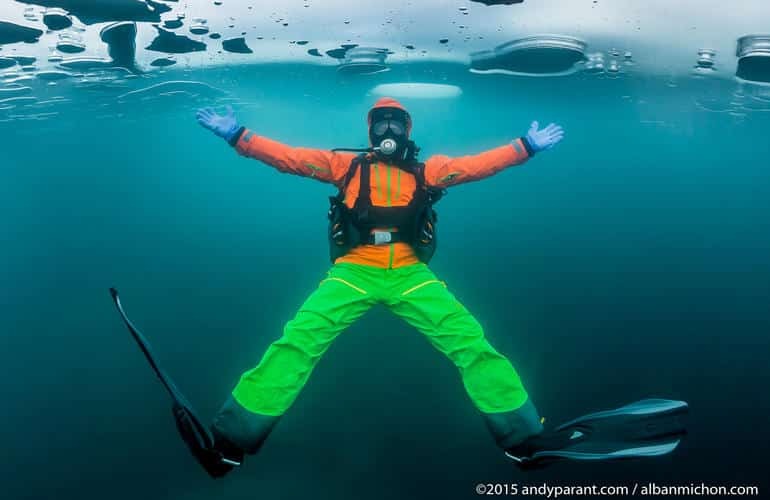 Take things to new extremes this winter with ice diving activities. Starting out with a scenic snowshoeing excursion to reach a frozen lake, it’s time to kit up with serious cold-weather gear like a drysuit, full hood and gloves. After drilling a hole, you’ll descend up to 2 metres with a professional diver for a 20-minute adventure dive – exploring a subzero marine world that hides beneath the snow and ice. Discover our selection of ice diving activities at Adrenaline Hunter. ou’ve probably never thought about jetskiing on snow, but now’s your chance to try it out! Available in most ski resorts, jump onto one of these specialised snowmobiles and head off into the heart of the forest on an amazing day or evening excursion. Glide through winter landscapes and admire each snowflake as part of a group – or just on your own. 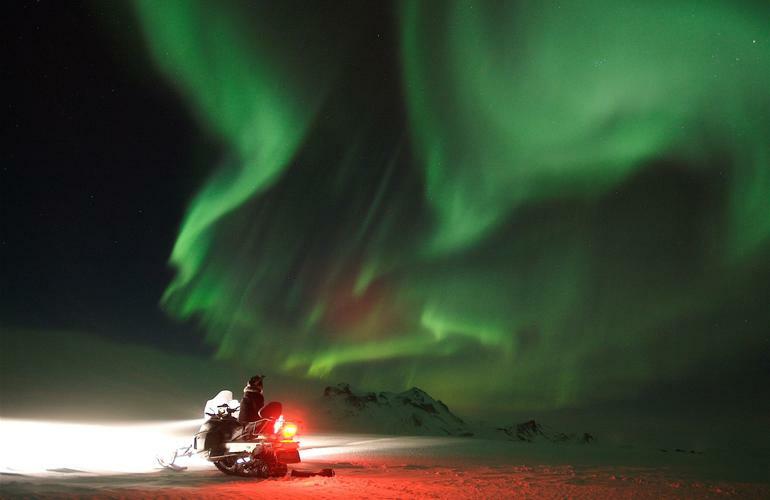 Discover our selection of snowmobile activities at Adrenaline Hunter. Swap the skidoo for a car and learn how to steer on slippery terrain with ice driving training. Learning how to react on the snow and ice, ice driving isn’t just a really fun activity, it’s also practical, too. Working on vehicle control, reflexes and safety stops, master winter terrain with 30-minute theory classes and 21/2 hour practical driving lessons on a specialised circuit with a personal coach. 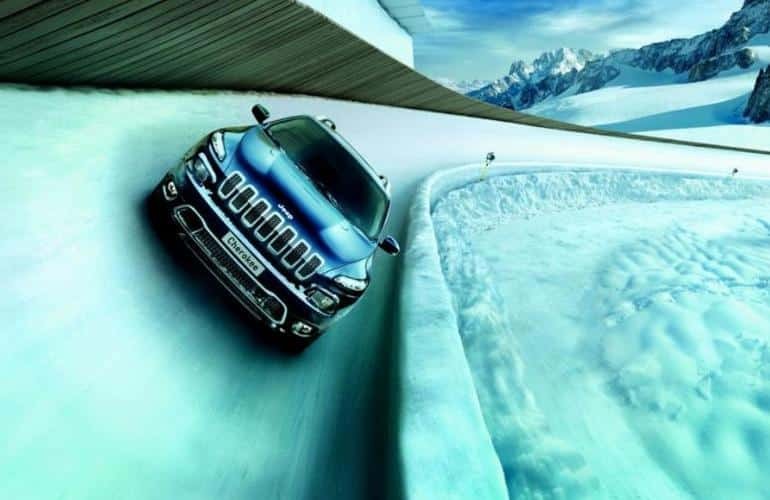 Discover our selection of ice driving activities at Adrenaline Hunter. 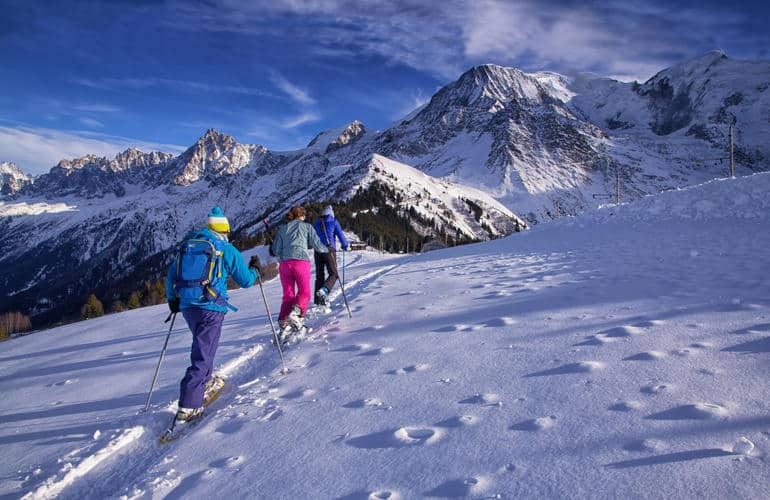 Head out into the mountains with a lead guide and explore vast valleys and breathtaking summits with snowshoeing excursions. Lighter than skis and easier to use, traditional snowshoes are long gone – in their place are ergonomic plastic crampons that secure to your winter boots. If you’re looking for a leisurely activity that will get you out in the fresh air without the need for lessons or technical ability than a casual snowshoeing activity is perfect for you – if you’re really lucky, you might even spot one of the Alps wild mountain animals! 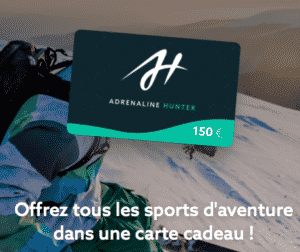 Discover our selection of snowshoeing activities at Adrenaline Hunter. f freestyle skiing doesn’t get your heart racing, maybe snowkiting aka speed racing will. A combination of skiing and paragliding, it has been compared to kitesurfing on snow. With the help of a kite, fly through the air, land jumps and glide along unpisted terrain at top speed. With two skis firmly planted on the ground, use the winter gusts to drag you across amazing snowy plains and get some big air along the way. 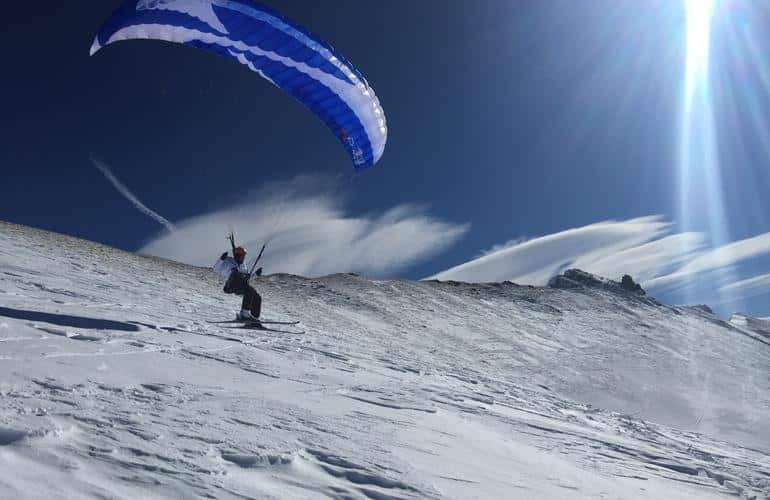 Discover our selection of snowkiting activities at Adrenaline Hunter. Explore the mountains by air and glide with birds of prey with hang gliding experiences. An amazing feeling of suspended animation with killer views to match, plank in mid-air with a specialised one or two-man glider to keep you riding the speedy winds that rip through the peaks. 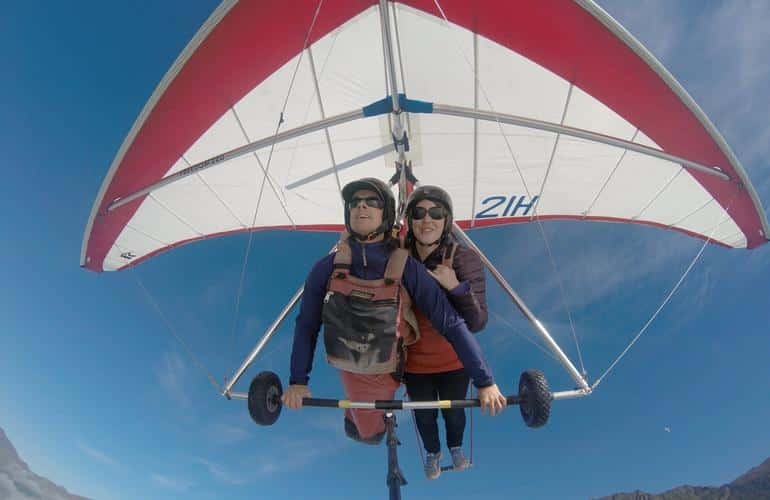 Summit mighty mountains and control the air on a tandem or solo hang gliding flight. Don’t forget about paragliding and paramotoring, too. Discover our selection of hang gliding activities at Adrenaline Hunter. Who needs a sleigh when you have skis? Try ski jeering for a winter experience that’s anything but ordinary. Pulled along behind a horse, ski jeering originated from Scandinavia but was popularised by the English in the 20th century. Re-introduced 20 years ago back to the Alps, this weird and wonderful winter sport is definitely one to add to your next holiday bucket list – even if you have no riding experience, we guarantee you’ll love it! More info on ski jeering. 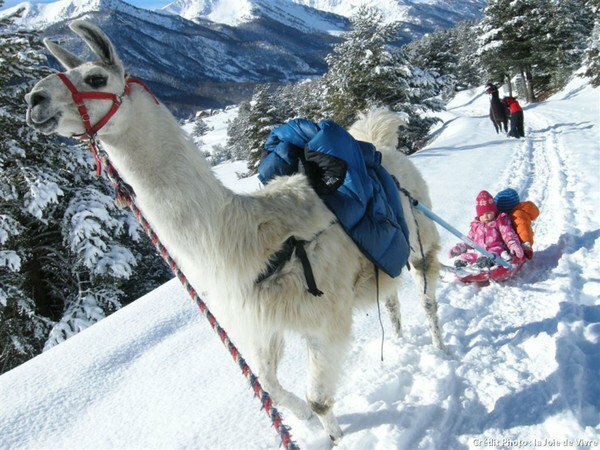 If none of the above has inspired you to head up to the mountains this winter, there’s still hot air ballooning, sledding and even lama-luging to try! So, whatever you get up to on your next winter holiday, don’t forget to have fun, eat loads of cheese and cuddle up around the fire.